Deep in the heart of Africa, a young boy named Akeem and his pet leopard Trakee experience crocodile-filled waters and impending danger as he learns the hazards and thrills of trading on the African river. His grandfather, who helps care for Akeem and his newfound young leopard, tells them stories from the past with lessons for their present. Jack, the high-spirited Australian man, befriends Akeem and takes him along on his treacherous adventures. A terrifying cave-in at the mine where his father works will bring the family close, but can anything be done to save his father? Come join Akeem on his journey as he holds fast to his dream of becoming a tradesman canoeing up and down the river, and learns a few faith lessons along the way. 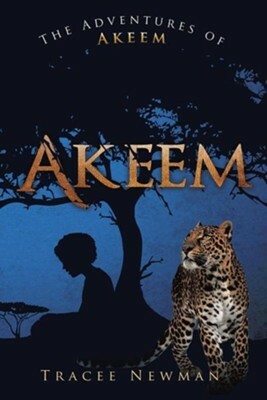 AKEEM is the first in a series of three books filled with exciting adventure and insight into God and His ways. The entire book set includes: Akeem; Akeem the Incredible Journey; Akeem the Great Adventure. I'm the author/artist and I want to review Akeem.